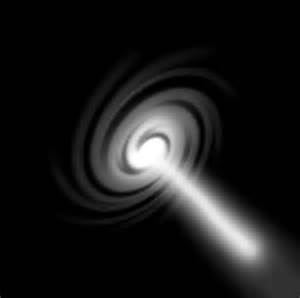 A Portal or Vortex in the Paranormal Community is a term used to describe a doorway from another dimension that spirits use to cross over into our dimension. Sometimes these portals are stuck or left open causing wandering spirits to enter the home and then the home becomes haunted. It is not uncommon for those summoning spirits with magic spells or using medium tools like the Ouija Board and Tarot Cards to have Unwanted Paranormal Activity after their session. This is due to opening up a portal to communicate with a spirit and during their sessions unfriendly spirits slip through the doorway. The worst cases are when the spirits do not leave and the portals are never closed causing unwanted paranormal activities. With more and more people using the internet, modems, routers, microwaves, radio waves, and high EMF in the homes, these portals have the energy to stay open longer and making it more likely to get unwanted paranormal activity and harder for the activity to go away due to the abundant energy source. Some haunted homes may have high EMF and allot of times if a home owner lowers the EMF the haunting will go away or tone down to a tolerable level. If you suspect your home is haunted try having a local paranormal team investigate to find what type of haunting you may have. Also have a minister bless your home to help the paranormal activity stop or to tone it down enough that its not so disturbing for the residents of the home.